Which is the best DSLR under 50000? Which is the best camera under Rs 45000? So, you have finally planned to buy your DSLR camera under Rs 50000 price tag. The range of DSLRs comes under premium cameras which let you enabled to get a good product at a reasonable price. As these are not the entry-level DSLRs in India. The cameras are filled with high-end processors and lenses which give you excellent picture quality. The focus and ISO range of these cameras are very impressive. 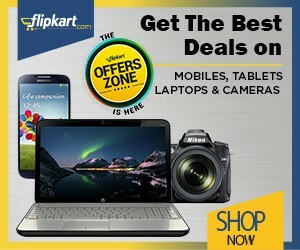 Here you will also get some DSLR cameras under Rs 45000. If you looking for a cheaper point and shoot cameras then you can go with digital cameras under 10000 in India. If you want entry level budget DSLRs then you can go with Best DSLR cameras under Rs 35000 to Rs 40000. Here is an article on how to choose DSLR camera for the first time. We have compiled up the list according to the suggestions from the tech guru on 91mobiles, gogi.in, Smartprix, my smart price, and Digit. We have also covered up all the top DSLR brands in India like Canon, Sony, and Nikon. Let’s have a look at the list of best DSLR cameras under Rs 50000 in India. Note- All the Cameras (not mirrorless cameras) are listed randomly.There is no ranking are provided to these DSLRs. According to me all the DSLRs under 50k are best and has powerful configurations. With the hundred reviews of the Nikon D5300 out there, why should you read another? The answer is probably because you haven’t decided yet if it was the right camera for you or maybe you got lost in the endless list of features the camera has (like any camera for that matter). To help you get clarity in your buying decision this review won’t focus on features but rather on pros and cons this with this piece of technology. This approach will definitely show you if this camera is for you. Although we are not focusing on the specification it’s good practice to provide and it will actually help you understand where we are coming with our numbers. Since it’s really hard to evaluate anything without a reference point, we will use others camera such as old version, siblings and competitors to put things in perspective. The Image Quality is where this camera shine. It’s newly developed high-megapixel sharp sensor help the D5300 achieve really good image quality which a long step forward the Nikon D5200. For the price, it is a real bargain. All this is accomplished just using the standing 18-55mm lens that comes with almost every DSLR on the market. The ultimate parameter that affects image quality is the ISO performance. ISO is the level of sensitivity of your camera to available light. The lower the ISO number, the less sensitive it is to the light, while a higher ISO number increases the sensitivity of your camera. The Nikon D5300 ISO performance is above the average in the DLSR niche, it’s better than the D5200 at low light. Another cool feature that the Nikon D5300 has is the built-in GPS and Wi-Fi. Unlike the Nikon D3300 which don’t have a built-in Wi-Fi, this feature will allow you to upload your photos directly to social media network if that’s your thing. You can also use your phone as a remote to take a picture and upload them as well in the cloud. It’s very rare that people don’t find a flaw in just about anything and the same goes for this camera. One of them is the multi-controller which is kinda noisy. Also, it’s pretty slow to review your photo right after taking which why you taking photos in the first place. The Nikon D5300 is a wonderful camera as either your first camera or just an upgrade from your old nikons machines. If you own the D3300 it’s definitely worth considering the D5300 as a potential upgrade. It features the new high shutter speed of 1/8000 of a second. As well as a maximum ISO of 25600. As well as a brand new 2016 pixel RGB metering system and 1080p video recording. Hang on, Canon had that already a long time ago! It’s pretty boring really isn’t it? Just like this area. But wait, there’s more! Oh yes, there is much more. This is no ordinary update. It’s the year of the gradual update to this line of DSLRs. We need long to label the dramatic improvements seen in the D7000 as mere updates. When you look from the deliciously, bright viewfinder you benefit from the hand drops and accuracy. Now if you wanted that before you go to the D300s or the D3S or D3x. This is a great thing for a classic camera like this. In addition to hundreds of hand drops and accuracies on one of the D300s, it feels like these features are fantastic. What you get is ultra-precise training even after you consider the Nikon D7000 price. Even the shutter button is more like the pro cameras. It’s got a squeegee feeling, you don’t need to press it all the way down to release the shutter. And when you look through the viewfinder you’ll see 39 loverly AF points lighting up. That’s more than the Canon 7D and the 5D Mark II combined. 39 AF with 9 fast types. That’s 28 more points than the D90 plus it does a good and accurate job of locking on focus especially when in good light. Not bad at its Nikon D7000 price! I’m gonna turn off the AF-F sys line now because Lox was saying it was too bright. I think he was just a bit in a girl’s blouse so let’s turn off for a more candid street shot in the dark. Even though it’s a D90 successor it feels just that little bit more solid in the hands, it’s just less “plasticky” and rubber is real rubber. It feels nice and “grippy” in the hands. Nikon has also redesigned the external parts. To start the body is now magnesium alloy and if you open the flap you’ve got twin SD cards slots. The benefit of the two cards slots is that you can choose what the 2nd SD card does and there are 3 modes. It’s got the overflow which means that when the first one fills up it switches to the 2nd one. You’ve got backup that copies both the images on both the cards simultaneously. Or you’ve got raw and jpeg. You might not notice it at first but there’s actually a button here. Press it and you can change the focus points by twiddling the dial here. So when you’ve got the clarity of face you don’t need to take it away to change the autofocus points. Just press it here. It’s a more logical place where the focus switch is. Usually, you see some dials and switches which are reminiscent of the professional camera bodies from Nikon. Then you’ve got the live view switch which is just like the D3100. You just flick it then press to record video. And the D7000 shutter sound is already a little bit more dampened compared to D90. But we’ve also got quiet mode. Now it works like all the quiet modes in the DSLRs. When you press it down and you go off somewhere else you do it up a bit. But of course, there’s one more trick up its sleeve. It’s got continuous autofocus in video mode, full-time AF in movie mode. Isn’t that a bonus especially for those who want to get started using DSLRs for making some artistic movies. The trouble is getting it to work the exact way you want it to. It’s not always that straightforward as nice as an addition to the series. The trouble is when you’re making a video you don’t want a camera to suddenly stop tracking another object. It’s fine if you’re taking fun videos at home but seriously frustrating if you’re trying to create your masterpiece film with it. Sometimes it works sometimes it doesn’t. That’s the problem of continuous autofocus. But likely if you’re shooting video in continuous autofocus mode, you’re probably not using it to make any blockbuster films, are you? The great thing is that if you do want to shoot video and you want to record audio you can add an external mic. However, even though you can change the audio levels for the external input you only get high sensitivity, medium sensitivity, low sensitivity so not much room for tweaking. But this is something that the Canon 60D and the 5D Mark II have which makes it slightly better if you’re really serious about making videos. The continuous burst rate is quite a significant update from the 3.9 frames per second of the D90 – to 6 frames per second – that is music to one’s ears. The noise performance of the D7000 is really quite outstanding. Used for shots all the way to 6400 its light has a detail up to 12800 and in the mid to dark tones of the 25600 shot you get more noise than you get in Mr. Noisy’s noisy house party. Nikon has shown us that they are not just resting on their loins. Nearly introducing an update the numbers up on its specs sheet. Rather, Nikon has decided to up the whole class. This is a DSLR that will appeal to the serious enthusiast level as well as those progressing on from the entry-level Nikon DSLRs. Even with the D90, Nikon has already said to themselves that the market is already reaching saturation point. The thing that this camera really is a successful operation updating the line. This really will give current D90 owners reason to get their credit cards out. If you have been searching the web for the best Nikon D7000 price, you have come to the right place. Our editor has scoured the web and assembled a price comparison table with current prices from Amazon.com, Buy.com, and BestBuy.com. When you check out the table, be sure to click through to each retailer’s website as they often provide instant rebate coupons in the shopping cart – to ensure you get the best Nikon D7000 price! You would be surprised to know that the Nikon D7000 camera is smaller and lighter compared to most DSLRs. It has a nice grip for added comfort and the placement of the buttons in the camera is located strategically for ease of navigation. The camera is a powerful low-light SLR which is capable of handling images in the dark as this camera is equipped to handle ISO up to 25600! And with a 16-megapixel sensor, there’s no wonder how this camera can easily manage photo shoots well in the dark. Compared to the Nikon D90, the rolling shutter in the Nikon D7000 is much better allowing you to enjoy shooting to your heart’s content. You will still see occasional wobbles in the D7000, however, it is manageable even while shooting photos using your bare hands. After testing various timers for the Nikon D90, we have identified issues relating to the images being captured as not attractive enough and awkward to use. They have a tendency to break apart too and prone to adding strain on the camera’s port holder. In other words, we did not like them at all. But with the inclusion of the Interval Shooting feature in the D7000, you will get one rock-solid feature which is useful especially for those who are huge time-lapse users. This feature simply works wonders! The question of the “when” is revealed: The new successor to the most popular EOS series from Canon is finally here! We looked at the new camera and present a short test here. It was almost certain that the EOS 700D will be released in 2013, and as of today it is official: You can buy it! In this review, we discuss the improvements and innovations. Canon has also updated its company page as part of the update and divided it into categories. Among SLR cameras for beginners, the EOS 700D is now leading the class. Strangely, the 650D disappeared from the range and the 600D remained. It seems that this only served as a temporary solution – or was it too similar to the new 700D? We want to clarify that. At first glance, you can see no differences, even if the list of features and features is very long. So, the new EOS 700D from Canon comes with an 18 megapixel CMOS sensor and supports FullHD video recording. Also, a Logic 5 chip was installed. Also finds 9-point autofocus in the new 700D. The DSLR is operated via the conventional wheels and buttons, or via the touchscreen. The 3-inch touchscreen TFT display can also be rotated and folded away, even hide. The built-in flash can be used for emergencies but should be replaced by a better, if you really want to take pictures with flash. For beginners, the standard Canon EF-S 18-55mm 1: 3.5-5.6 IS STM lens is also recommended. If you have not selected a lens, the lens available as a kit is recommended. The focal length of 18 to 55 mm is completely sufficient for everyday life. While it is not the best when it comes to light sensitivity, but can score thanks to Image Stabilizer (IS) yet. It can almost be called a traditional lens because it has been included with the kits for years. If you have higher expectations and there they need cash, you should buy a clever EF lens of the “L” -Profiserie Canon. Also, the EF 50mm 1.4 USM lens is highly recommended and is part of the standard repertoire of a photographer. The EOS 700D brings only a few new features. It is thus slightly inferior to the EOS 650D. This should make you think about whether the extra cost is worthwhile, as long as you can still purchase the EOS 650D. After that, the EOS 700D is clearly the recommendation if you want to do more with your DSLR. The EOS 600D is clearly superior to the new DSLR. We recommend using the EOS 700D as a kit with the Canon EF-S 18-55mm 1: 3.5-5.6 IS STM because the added value is higher at the price. Alternatively, EF 50mm 1.4 USM lens is a good combination.